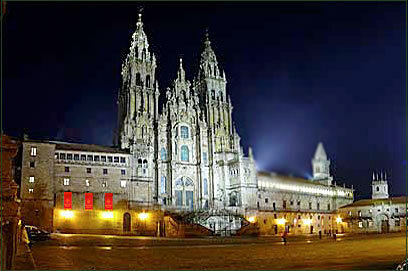 Global Pilgrims is excited to share some of their alliances and special Spanish friends with you. We are pleased to know and have experienced some of the most beautiful places and enjoyed some of the most delicious food and wines Galicia and Spain have to offer. Have fun discovering for yourself new places and flavors that you will SAVOR and ENJOY!!! Paradores is a chain of Spanish luxury hotels founded by Alfonso XIII of Spain with the first opening in Gredos, Avila in 1928. The hotels are in castles, palaces fortresses, convents, monasteries and other historic buildings and make for a perfect and memorable setting for your adventures in Spain. 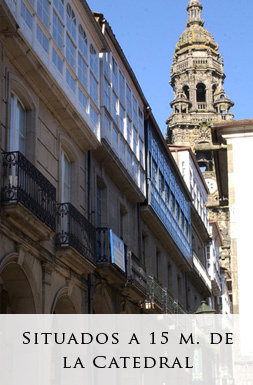 Combining history, art and tradition, the goal of pilgrims and the emblem of St. James, the Hostal dos Reis Católicos, in the Plaza do Obradoiro, forms together with the cathedral one of the world’s most remarkable, and most visited, urban settings. The Hostal, which first saw life as a Royal Hospital in 1499 to house the many pilgrims arriving in Santiago, today still invites the traveller to enjoy this universal and fascinating city. Considered the oldest hotel in the world, it is also one of the most luxurious and beautiful. It has four extremely beautiful cloisters, elegant public rooms, spectacular bedrooms and a luxurious dining room offering Galician style fish and meats and the classic apple filloa pies and crème brulee. A Parador Museum is a Parador Hotel that shares it secrets with you a monument that passes on its history and legends, whispering in your ear tales of the personalities who inhabited it. 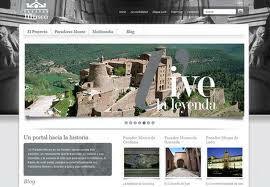 Through the Parador Museo Website you can take a virtual tour of the Parador Museums and experience some of its incredible history! Immerse yourself in luxury, charm and beauty of the Relais & Chateaux Hotel. 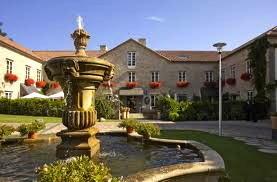 Enjoy the only Relais & Chateaux Spa Hotel in Galicia. 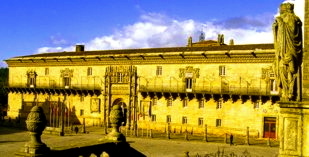 A XVIII century building lulled by the sound of the river and surrounded by an estate of 10,000m2, in the World Heritage city of Santiago de Compostela, Spain. Ideally located in the residential area of the city for people looking for more peace and privacy, the hotel offers rooms and suites combined with amenities with old world charm and modern elegance. Here, the classic style blends perfectly with contemporary amenities and services to meet the needs of the sophisticated traveler. Indulge in a circuit spa with a unique design, warmth, intimate, exquisite and especially exclusive experience. 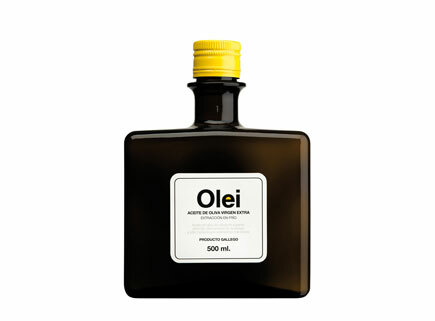 Explore all types of massages, a real treat for the senses. Enjoy delicious traditional cuisine in its Watermark Restaurant which share a gastronomic experience special to Relais & Chateaux that provides the finishing touch to a perfect stay. Guests have a multitude of cultural, culinary and sports to explore the cultural treasures of the city and region, hiking, visiting coastal towns or the many nearby beaches, or let the hotel prepare a picnic for you to enjoy in the gardens where you can relax with a book. 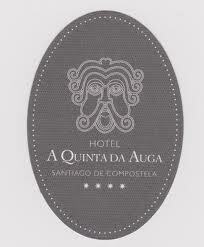 Ideal for romantic getaways, anti-stress cures, incentives, meetings, relaxing holiday or weekend getaway, Hotel A Quinta da Auga prides itself on providing a personalized service to have warm and friendly staff that welcome and pamper you during your stay. 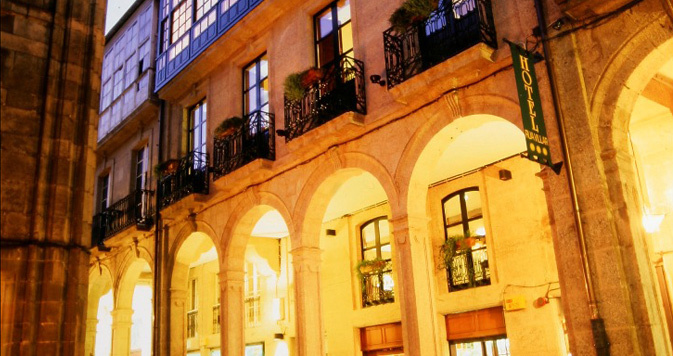 Hotel Rua Villar is a charming 3 star hotel located in the historic district of Santiago de Compostela just 15 meters from the Cathedral, close to all shops and businesses of the city, and is directly across from the Pilgrim’s Office. Opened in 2004 it is a renovated XVIII Manor House still retains some of the original elements such as the main skylight which fills the interior of the building. Cinema is the invention of a new reality; each film invents a life, reinvents life. And Santiago is pure invented reality. Santiago was an “inventio”, which means “discovery” and also “creation”. Santiago, the city that gave birth to so many other Santiagos throughout the world, is a creation that is a religious myth, a legend, stories and History. Pure memory, pure language. 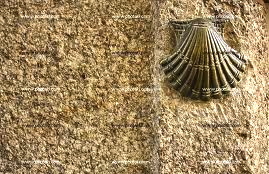 The entire city accumulates, in superimposed strata, a part of European civilisation, from Celtic tombs and hill-forts to Romanisation, to the Germanic Swabian kingdom, to the discovery of the magical tomb by the Europe of Charlemagne, the Holy Roman Empire, and from there to the Cathedral that crowned Galician kings and an “Imperator Hispaniae”, and to the metropolis that was the common factor of Europeans and that is cited by Dante, Shakespeare and Goethe. Santiago is a stone labyrinth, the hard centre of an open and ancient land, the Northwest Iberian Peninsula, which gave rise to both Iberian states. And the miraculous cave on which the city is centred is a perpetual source of historical evocations and of legends both old and new. Its basic argument is that life is transcendent, that it opens in all directions and can only be understood with one’s imagination. Santiago is a city that, like all cities, is being transformed into a tourist destination that is becoming more and more consolidated and familiar to people. However, it has not lost its basic capacity to suggest that any story is possible here. SCFC has a wide range of information about the numerous locations within its field of action. Our extensive database features varied images of them all, in different light and climatic conditions, so that location hunters may evaluate them in the most flexible way possible. This database is available online at our website and also on paper in our office. Furthermore, the SCFC personnel help location hunters by advising them and informing them regarding the feasibility of filming in different areas, according to their film’s specific needs. This service includes the organisation of guided location visits, as long as they are requested with sufficient notice. All the production companies that so wish may benefit from the services of at least one of our experts during the filming of their production, in order to advise the team and/or solve any problem that may arise. This service is completely free and voluntary. 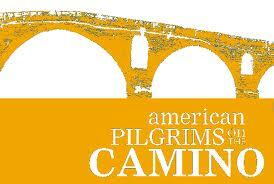 We are excited to have become a member of the wonderful organization American Pilgrims on the CAMINO.